Beautiful Incentives: Preparing for summer classes? Save money by renting your books! Preparing for summer classes? Save money by renting your books! This sponsored post is in accordance with FTC guidelines. All opinions are 100% my own. Most of us are thinking about vacation, sun, sand, margaritas, being lazy, but some of us are planning our next text haul for summer classes. I've been there and I would struggle trying to sell back the books I already had in order to get the money to buy new ones. I'd use ebay, amazon etc, but back then I didn't have Campus Book rentals. Campus Book Rentals gives you the option of renting texts at a much cheaper cost than buying the books at your campus or used bookstore and you don't have to stand in an endless long line to do it. 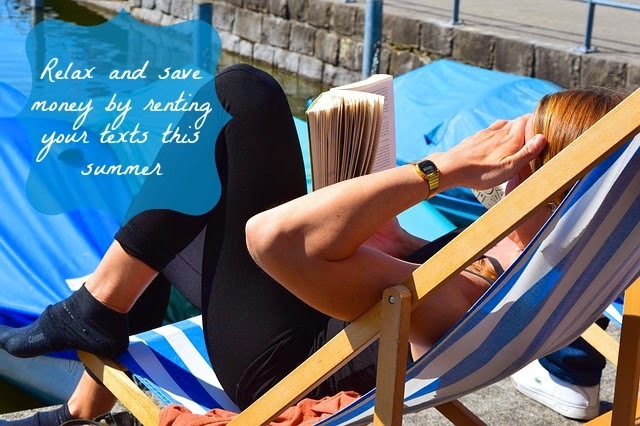 Campus book rentals makes it easy to get your texts fast and basically effortlessly. The process is painless and shipping is fast and free, both ways! When you are done with the books, you just send them back free of cost. You also have the option of selling your books and texts back. They have a nifty search feature that will show you how much your texts are worth upfront. Just do a quick search with the ISBN handy and you're ready to go. part of the proceeds are donated to Operation Smile with each textbook rented. Operation smile is a wonderful organization that provides surgery for those children born with Cleft Pallets.